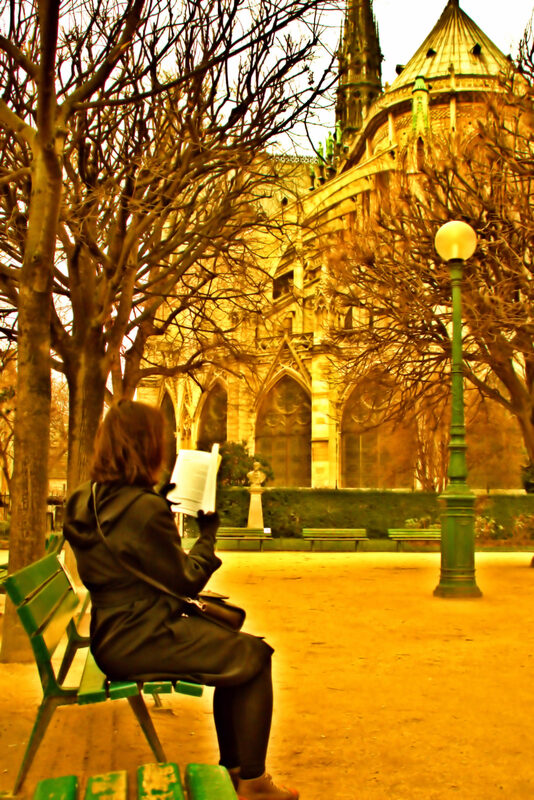 Paris reading places, for me, are important to find when I travel to Paris. 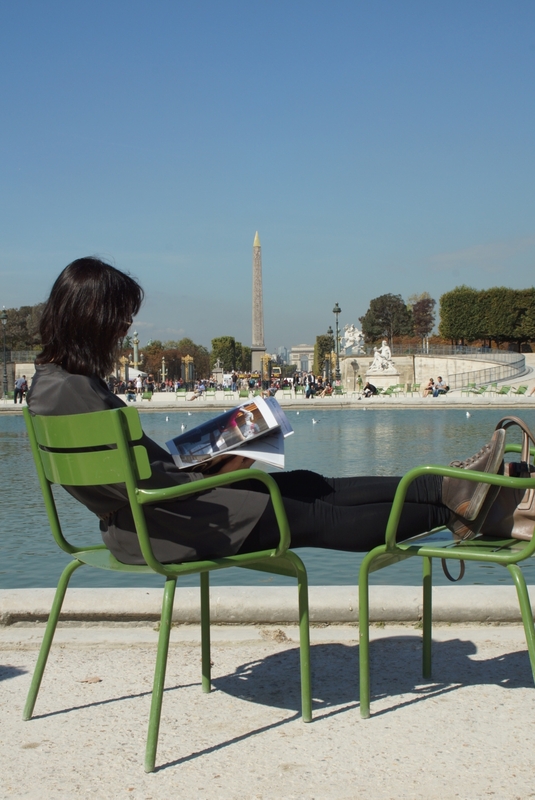 Travel to a mega tourist spot like Paris can be exhausting. 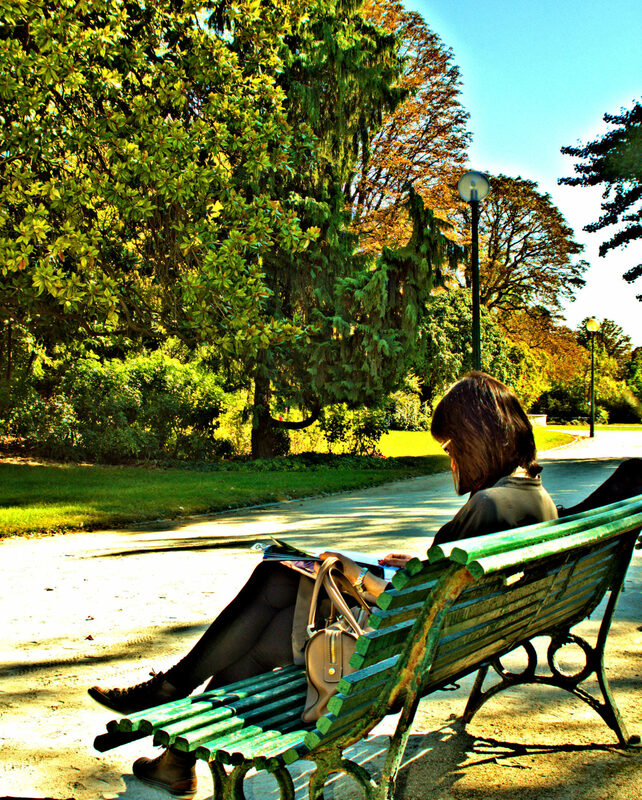 There should be downtime, time to relax a bit. 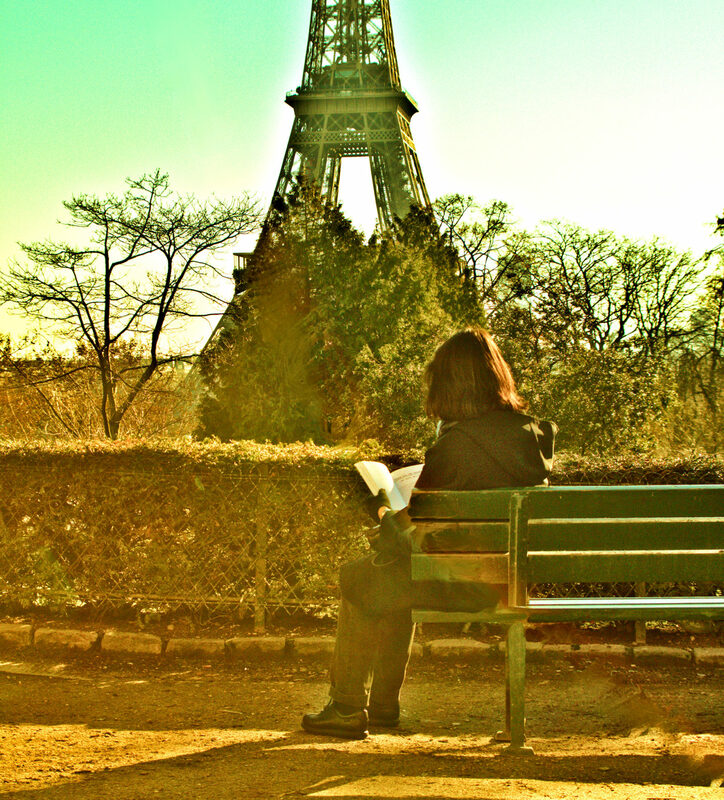 In Paris, a café is probably the most common place to sit and relax while sipping an ‘express’ and doing some people watching. 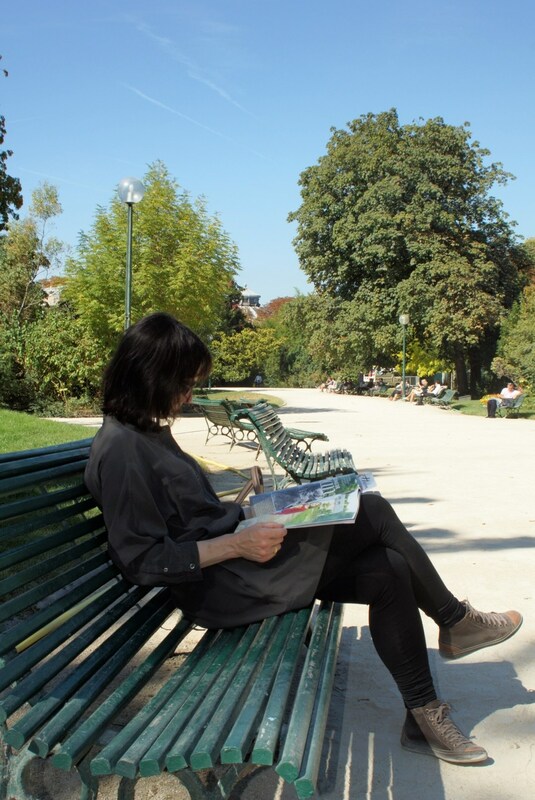 There are, however, many Paris locations where you can just stop, sit and read a magazine or book to get your downtime. 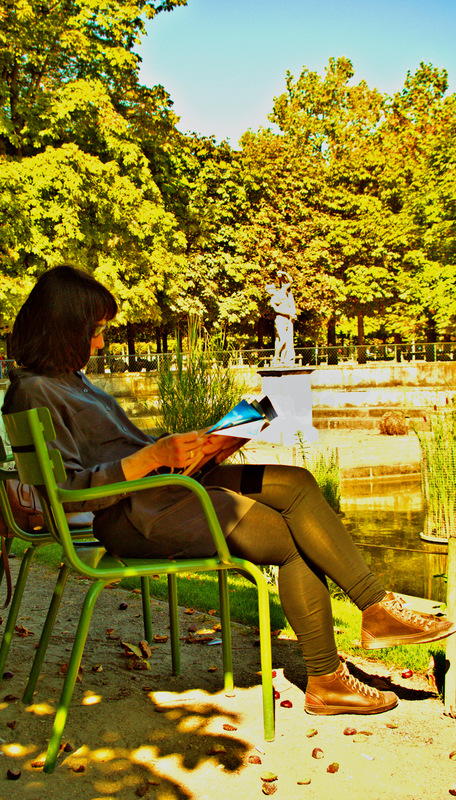 Since a Paris vacation may go beyond Paris proper, other parts of Ile de France have those relaxing spots as well. 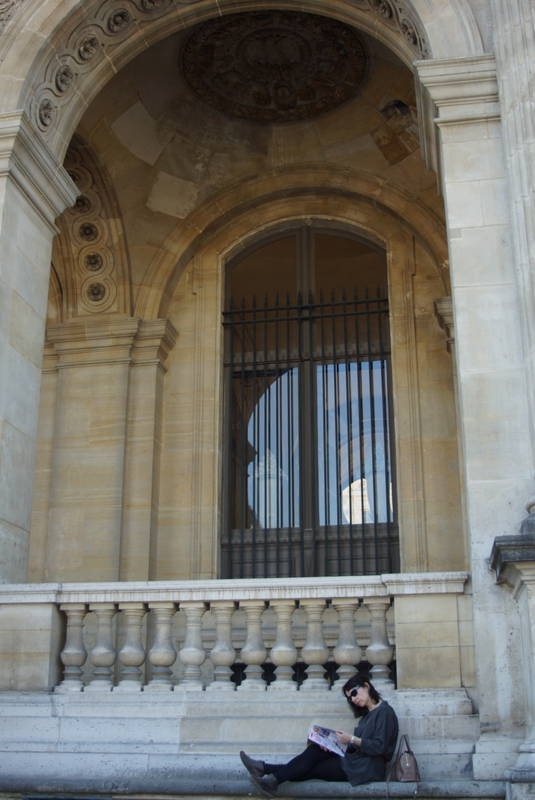 I always venture to the Paris banlieue of St Germain en Laye since I had the pleasure of living there for a few years. 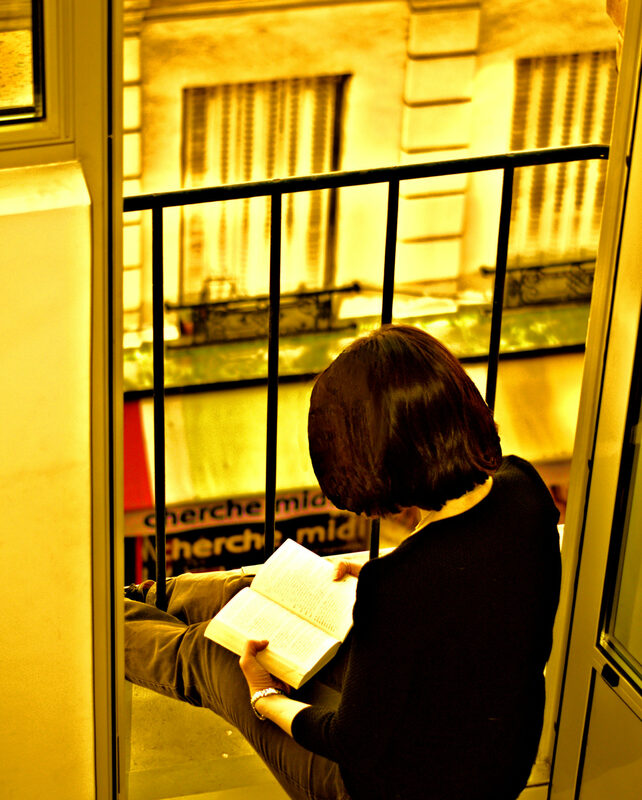 It certainly has great downtime spots, which I took advantage of during my writing time there. 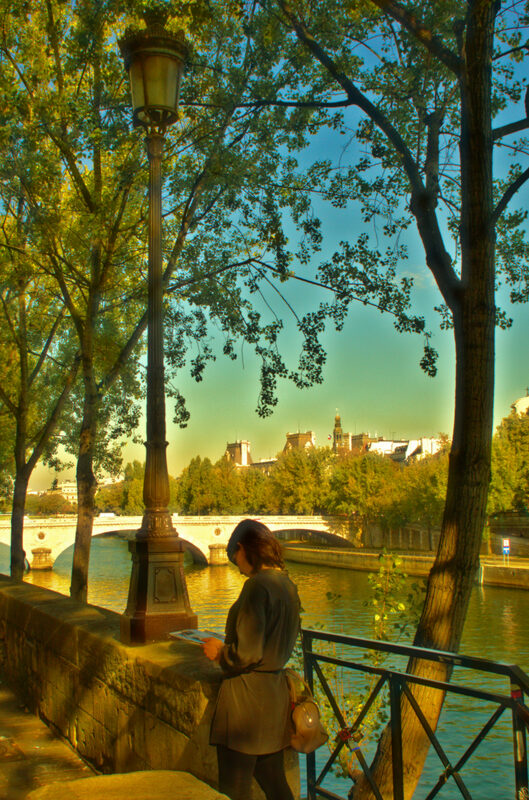 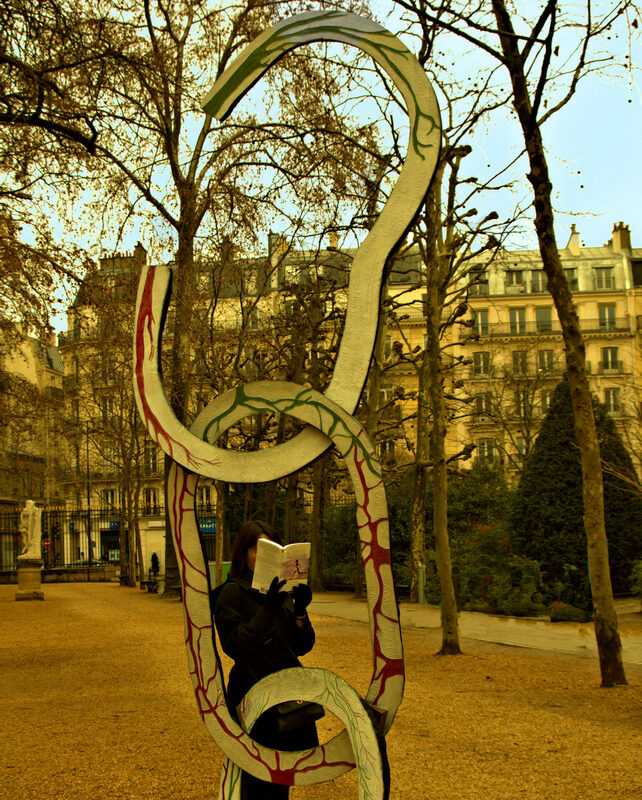 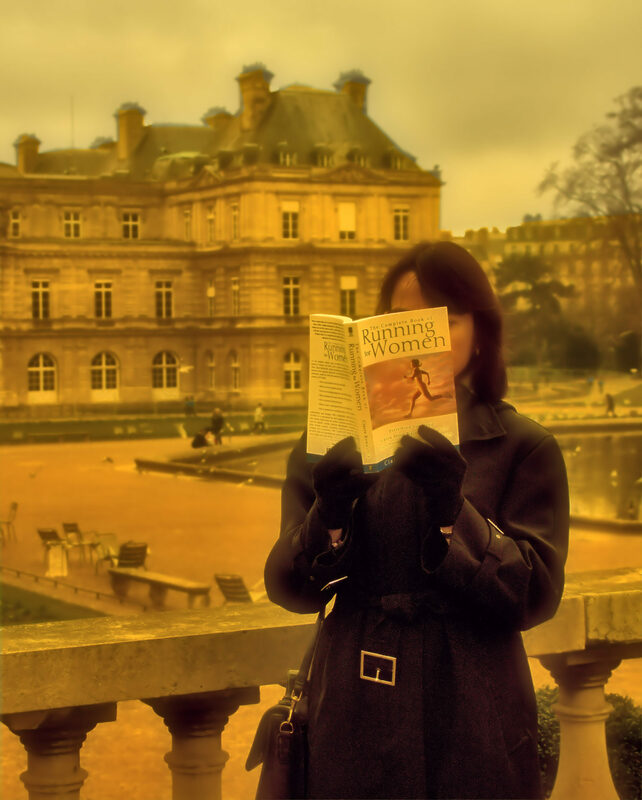 Here are a few pictures of Paris reading places to relax and do some reading. 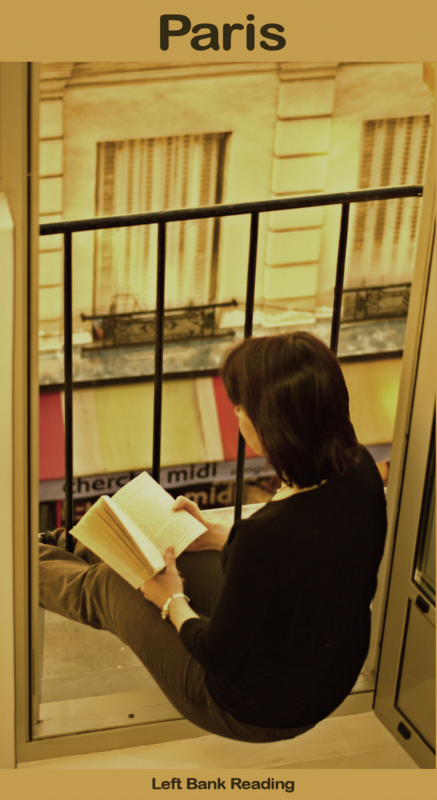 Paris window reading. 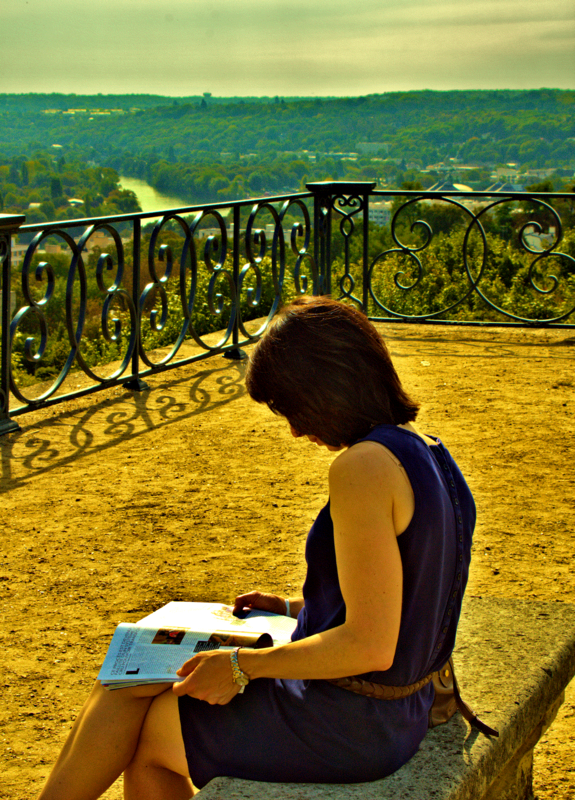 Reading with a Left Bank view.